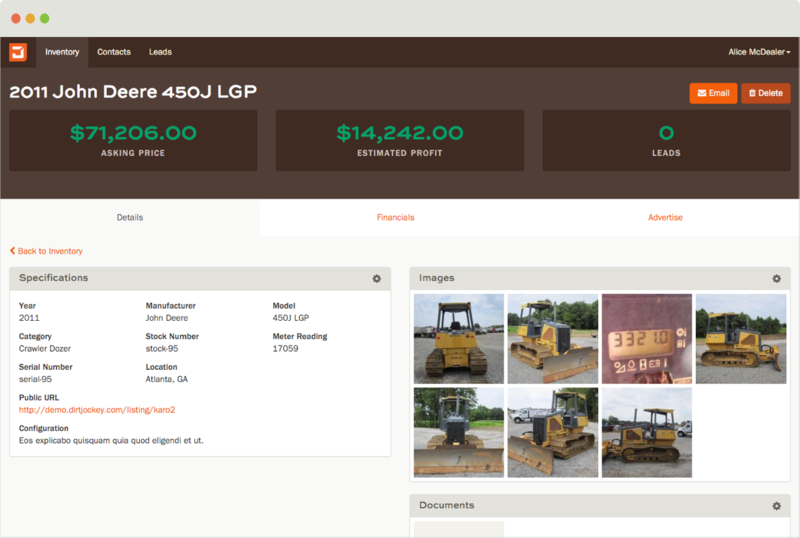 Manage your heavy equipment inventory, customers, and sales from one place. DirtJockey organizes your inventory, contacts, and leads into a secure platform that's accessible anytime. 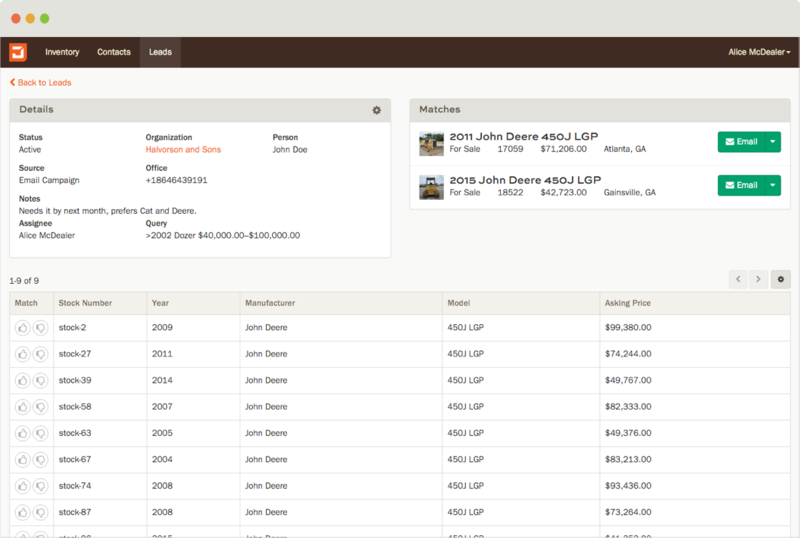 Add a lead for what your customer is looking for and quickly see matching inventory automatically. DirtJockey works on any internet enabled device making it easy to stay organized from anywhere. Use our powerful reporting to keep track of inventory stats, sales performance, and advertising ROI. 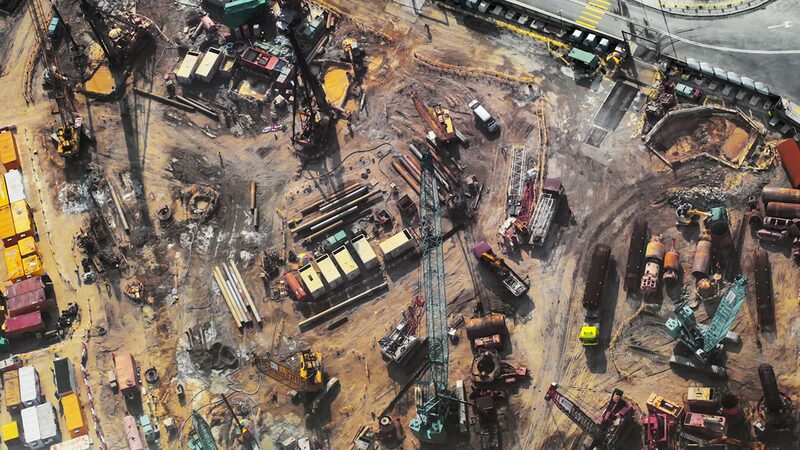 DirtJockey is your internal tool for managing your inventory. Keep all your machines, photos, documents, and other details in one place. More than a contact list, use DirtJockey to keep track of contact information, activity, and inventory for your current and potential customers. 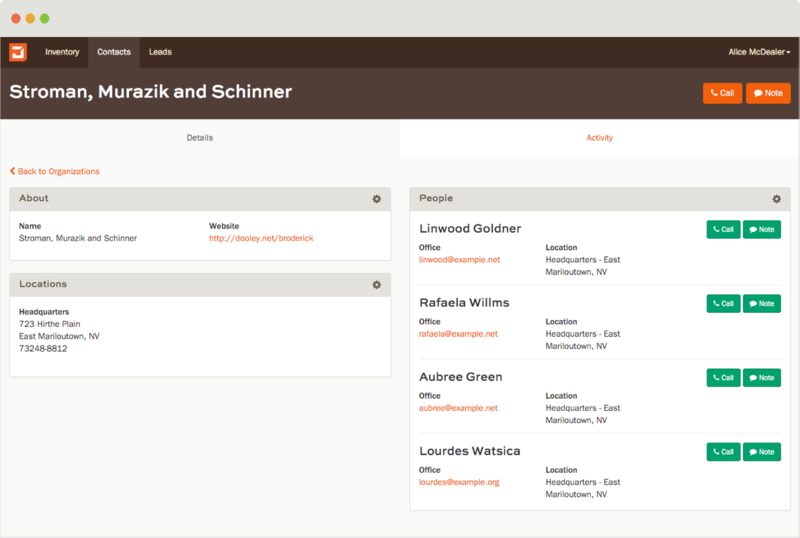 Our intelligent leads workflow integrates your inventory and contacts to give you an efficient, automated way to find what your customers need. Sell more machines with DirtJockey. Copyright 2018 © DirtJockey, Inc.